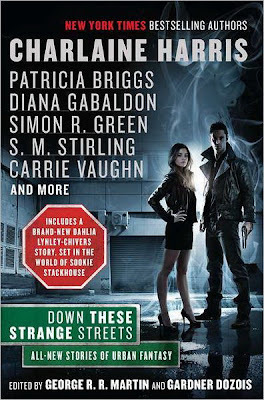 I have a copy of Down These Strange Streets, the new urban fantasy anthology edited by George R. R. Martin and Gardner Dozois, up for grabs, compliments of the folks at Ace. For more info about this title: Canada, USA, Europe. The rules are the same as usual. 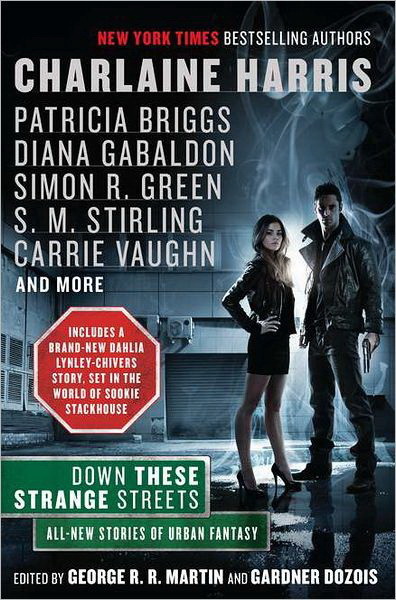 You need to send an email at reviews@(no-spam)gryphonwood.net with the header "STRANGE STREETS." Remember to remove the "no spam" thingy. Looks like a fun collection. And I really like to read short fiction in between heavier tomes! Thanks for the giveaway. Thanks for the chance at winning this book! I've been meaning to start reading more short fiction. What a collection this appears to be! Looks like a great anthology I'd love to read! This got mentioned on Martin's blog. Awesome. Thank you for the chance to win a book! I love reading short fiction. GRRM and mrs. Harris! WOW! Can not wait to get my hands on this!